Sakura lives with her mother in a town with a US Naval Base. She prefers to keep to herself and try to write rap lyrics. When the daughter of her mother's boyfriend comes to stay she is pushed to com out of her shell. Good film which left zero impression on me. Far from a bad film it simply wasn't my cup of tea. While I didn't mind it while it screened I found I had nothing to say about the film on any level other than I saw it and it wasn't bad. Aya is 34 and lives with he 54 year old boyfriend. When her 74 year old father is tossed out by her brother a clash of personalities occurs as dad runs rough shod over everyone. 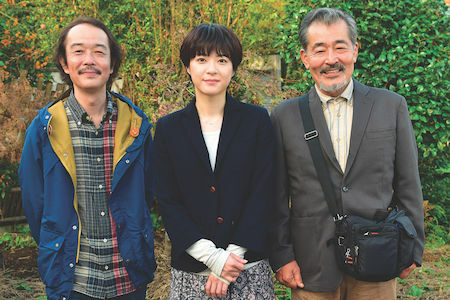 Sweet charming comedy is surprisingly meaty as the the film deals with the notion of what are we supposed to do with our older generations (not to mention the question of older/younger relationships). WHile I don't think the film produced big belly laughs it did laugh and smile a great deal. Its a small gem of a film that wonderfully turns things upside down-such a tear that isn't a tear but a raindrop. Zigeunerweisen takes its name from a piece of music that is heard throughout the film. It concerns a college professor and his friend who wander across the country and have love triangle of sorts with geisha. 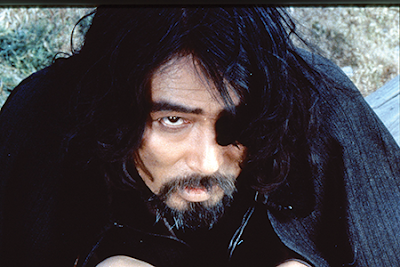 Self-produced and self-distributed film from Seijun Suzuki won the Japanese equivalent of the Oscar in 1980. It helped to get his career back on track. 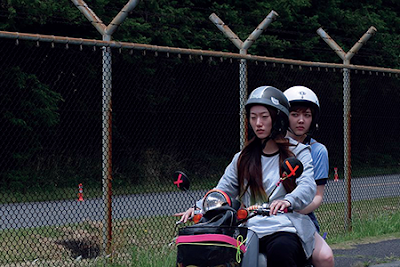 It Suzuki at his most unrestrained meaning the film is either going to delight you make you want to leave the theater. While I completely understand that some people can, and have , spoken for hours about the wonders of the film, it's never one that worked for me. Revisiting it for Japan Cuts I got half way in before I gave up. I realized I was reacting to it as I had been when I saw it years ago so I stepped away. Recommend for Suzuki fans as well as those who want to see what man consider his best work. When a hunt for a new vaccine turns up an unbeatable bioweapon, it ends up stolen by one of the creators who demands a ransom. Sent to find it before something terrible happens, the other creator uses the hunt to spend some quality time with his son. While this uneven mix of family comedy and espionage doesn't always blend the genres correctly, it never fails to entertain. A bit broad at times the film never fully generates the full on suspense that some scenes require, however while we are not on the edge of our seats we are sitting riveted because we want to see how it all comes out. A sweet little film recommended for anyone wanting to be entertained.